Launced October 1989 and shipped immediately, the AF1 Sports is the swan song of the AF1 series. It was followed by the the SP AF1 Futura 1992 and subsequently the RS Extrema SP designed strictly for track use. Created to celebrate the success of Bulega Sport Production championship in 1989, except for coloring, Sports AF1 is practically identical to the 1989 AF1 model. The only notable difference is a colored plastic shell (removable by turning a screw) that covers the passenger seat. 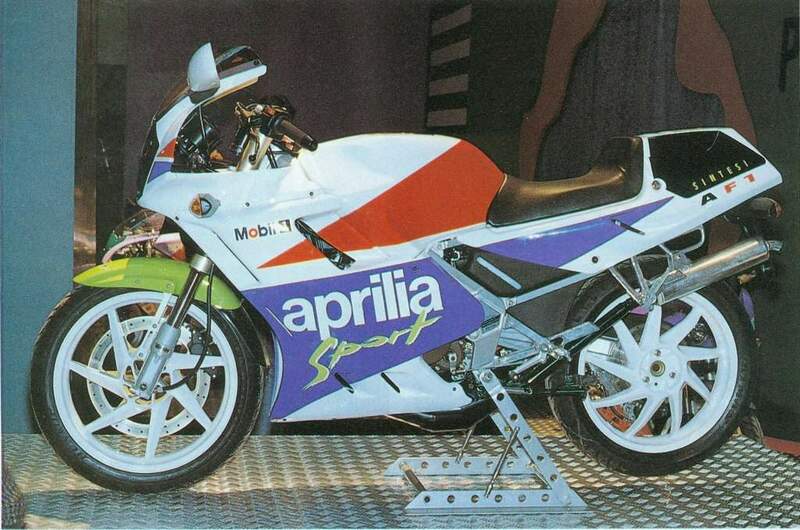 Interestingly, the AF1 Sport is the only Aprilia Sport Production racing to have a 34 mm carburetor fact, from 1992 versions marketed to race, the SP will be fitted with a 28 mm carburetor.